If it hasn’t happened already, it’s likely to at some point: it will be recommended you take a calcium supplement. Calcium is most famous for supporting bones, which need the extra help as we age, but it’s also used throughout the body in other ways. Neurotransmitters, muscles, enzymes, and more rely on calcium. With so much of the body depending on calcium, it’s not just an important nutrient–it’s one where a deficit won’t be immediately noticed. There’s lots of places for your body to borrow it, and move calcium from less important processes to more important ones, masking the deficiency and gradually eroding the sense of wellness. 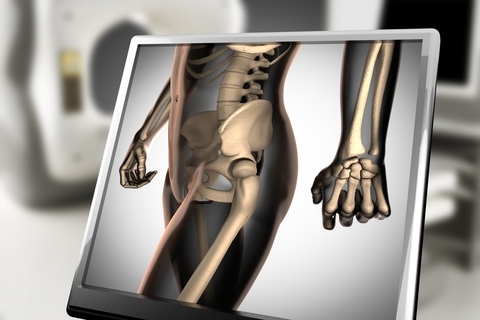 You might start to notice calcium deficiency as bone density erodes, if you have a doctor who checks it, eventually. But with how important calcium is, it’s a better idea to start supplementing early, and build a better wellbeing. Make sure you choose a good source of calcium. While grocery store supplements are full of calcium, it’s mostly because they use it as a cheap filler, choosing calcium from chalk that isn’t as easily digested. Choose a better supplement, with high quality ingredients like Cal Mag Complete. Not only does Cal Mag Complete offer a better source of calcium, it pairs it with other beneficial minerals for more complete support. Get the most out of your calcium supplement. Choose Cal Mag Complete and its complimentary, high quality nutrients, then take it before bed to support your body as it goes through the nightly processes of healing and rebuilding. Improve your overall wellbeing by ensuring you have all the important nutrients—especially calcium.